Every man and woman want a perfect shape of his and her body respectively. We don't want to look fat and odd. It is very easy to gain weight for some people. Some people are genetically predisposed to gaining weight and they gain weight more easily as compared to others. But once you have gained extra weight, it is not easy to lose those extra pounds. First of all you would like to know whether your are over weight or not. Your optimum weight is determined by calculating BMI. If you BMI is more than 18 and less than 25 then you are ok. Any value more than 25 tells you that you need to lose weight. So if you find out that you have more weight than normal. Then everybody advises you to start exercising. Now there are two types of exercises. 1. Aerobics, such as walking, swimming, jogging etc. 2. Anaerobics: Such as weight lifting and resistance training. Aerobic and Anaerobic have their own benefits, But in this article we will discuss how they affect weight. If you want to learn the benefits of aerobics in detail then read this: Benefits of Aerobics. Some people tend to have slower metabolism because of some physical or hormonal problem which make it difficult for them to lose them. Read about the causes of slower metabolism in this article: Causes of slower metabolism and difficulty in losing weight. So if you have some physical or hormonal problem that is making it difficult for you to lose weight then first seek medical advice for that. If you are trying to lose weight then you need to control your calorie intake also. Calorie intake shouldn't be limited too much. You should know your normal calorie requirement according to your age and take that much calories only. You may lose the extra and already stored calories through regular exercise. In order to know your daily requirement of calories read this: Calculate your daily calorie requirement. Now you know the basic mechanism of losing weight by reading the above literature. Now let us come to the point, That is should you concentrate on aerobics or anaerobics to lose weight quickly. Now read carefully, Aerobic exercises are good for fat burning. Fat can only be burnt in the presence of oxygen and aerobic exercises are called aerobics because during doing aerobics you are actually using oxygen to release energy. Aerobic exercises are done at a slower pace. The speed of aerobic exercise should be kept limited. You shouldn't run too fast. You will tire you quickly and when you get fatigued, it indicates that your metabolism is shifted to anaerobic. So you should walk or jog at a speed which should allow you to continue your exercise for at least half an hour. First concentrate on your duration. Forget about anything else yet. Once you have taken command over the duration and you become able to do an aerobic exercise for at least 30 minutes then you should start concentrating on your heart rate. 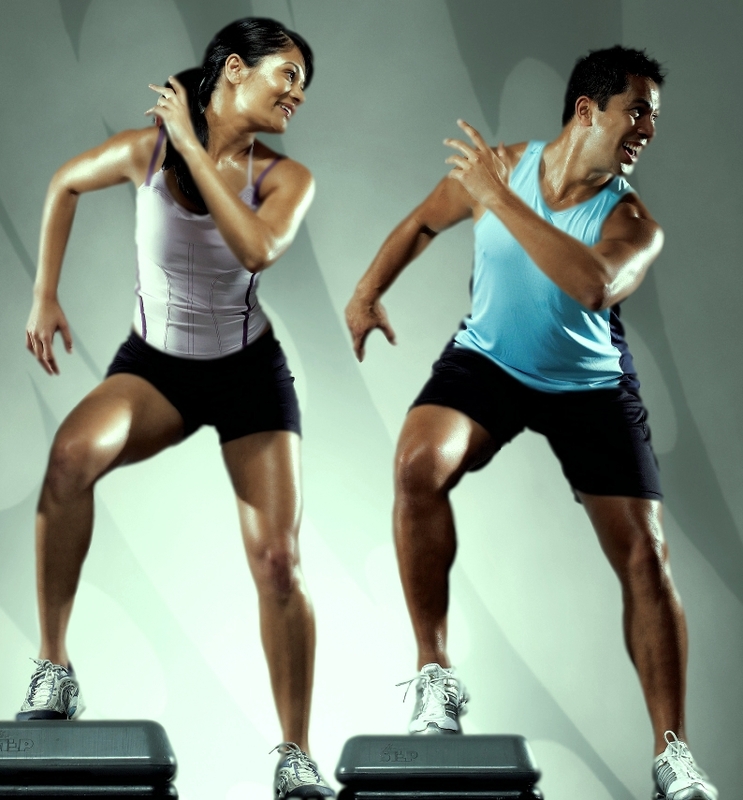 The speed of aerobics should be increased to an extent which increase your heart rate by 30%. For example, if your basal heart rate is 70 beats per minute, so during aerobics your heart rate should be between 90-96 beats per minute. But as I have stated that before, first concentrate on your duration of aerobics, once you become comfortable with doing a 30-minute session of aerobics then increase the effort to make your heart rate optimum. In the above paragraph we have discussed, how aerobics work and what is the correct way of doing them. Aerobics burn stored fats during the exercise. Aerobics have very little effect on burning the fats after the exercise. Here aerobics lag behind the anaerobic exercises such as weight lifting, running, and resistance training. Anaerobic exercises are done to gain muscle mass. In these exercises, you lift heavy weight and in response your muscles grow in size. Some people use anabolic steroids to gain muscle mass, but this is a wrong technique. It may give you the desired results quickly in return of a heavy cost. Read this "How anabolic steroids are being used for body building purpose", It is best to avoid these anabolic supplements which are basically artificial ways of gaining muscle mass which have dangerous side effects. You should try to build your muscle without getting help from these artificial means, Read this to get more information on this topic "how to gain muscle mass without anabolic steroids"
So Anaerobic exercises should be done rightly. During anaerobic exercises, you get tired easily. You aren't using oxygen during anaerobic exercises and lactic acid which is a product of anaerobic metabolism accumulates in your muscle and make you tired. Fats don't burn during the exercise but after the session of effective anaerobic exercise, when you take rest, this is the time when your fats and energy stores start to shrink. During rest when your muscle start to breath again and they start to repair themselves from the wears and tears of the anaerobic session, at this time they start using up fats and other available resources of energy to repair themselves and to increase their size. Bulkier muscles use more fats and energy during rest. That is why body builders have very low fats in their bodies. The subcutaneous fat disappears in huge body builders because all of the subcutaneous fat is used by the muscles, their skin looks directly adherent to the muscles, which gives them beautiful six packs and cuts and each muscle looks isolated. So now you have learned that aerobic exercises are good for burning fats in a short time. If you do them correctly, you will see the change within few weeks. Keep an eye on your diet also. On the other hand, anaerobic exercises like body building and weight lifting etc are an excellent way of losing weight but they need more time. Your muscles may take months to build. But once your muscles become bulky and well developed you will see that your fats start to disappear. You may combine both aerobic and anaerobic training to get the best results. That is, do aerobics for 2 days and resistant training for 3 days and take rest fo a day or two in a week. This is the best way of remaining fit and healthy. Some people do have more retained water in their body. So there are ways to get rid of this retained water. Read this: How to get rid of water retention, Lose water weight. So if you have any question, feel free to ask us.